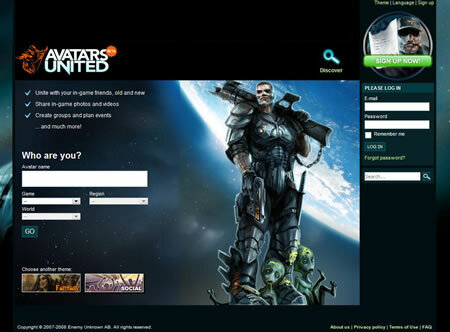 Avatars United is a new community website that brings virtual characters together from all online worlds. Users can blog, send messages and upload pictures and movies. Users can talk about their next adventure in the games being played or boast of their past exploits; avatars can even talk about daily life in the real world. I was able to get an interview with one of the principals, Swedish developer Thor Olof Philogene. Technovelgy: Is Avatars United ready for use? Thor Olof Philogene: The site is still in beta phase and we are constantly trying to improve it as much as we can, using the feedback we receive from our users. So write to us with ideas, we’re quick to reply! Tech: How long have you been working on Avatars United? Who is working on it? TOP: Avatars United is a project initiated in 2007 by a group of three real-life friends with friendships dating back to the early 1980s. 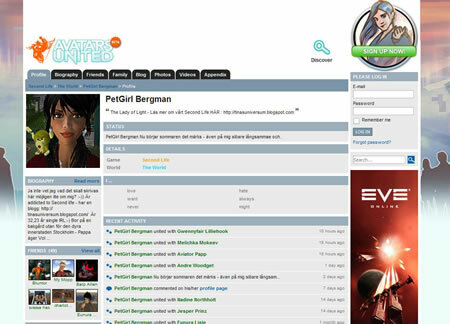 As such, Avatars United (AU) is a community website bringing virtual characters from all online worlds together. The project is built in recognition of the fact that strong bonds and close friendships actually can be tied within virtual spaces and has furthermore gone one step further in recognizing virtual personnas as persons in their own right by building a community for avatars only. Tech: Do you read science fiction? If so, what authors and books do you like? TOP: Though I love science fiction as a genre I have substituted a great deal of my time exploring future spaces in books to virtual world exploration in Eve Online. In terms of literary sci-fi background I would like to mention authors such as Gibson, Sterling and Stephenson among those who have influenced me the most. As a side note, all drawings for the sci-fi, fantasy and social theme of AU has been made by a member of our team. Tech: What inspired you to create a site that works like Facebook for avatars? TOP: Contrary to commonly held beliefs we think gaming is a social phenomenon and are hoping that AU will prove us right. By and large, we felt that the “out of game” social aspect of online games had been neglected. With tools to communicate with, find and track old virtual friends and share experiences from virtual realms AU wishes to stand out as a community highlighting the social aspect of life within virtual worlds. Tech: Will you work with gaming sites and sites like Second Life to give access to the contents of your site? The idea of avatars has been around in sf for a while; see the entry for avatar, from Neal Stephenson's 1992 book Snow Crash, which popularized the term and fixed its usage. 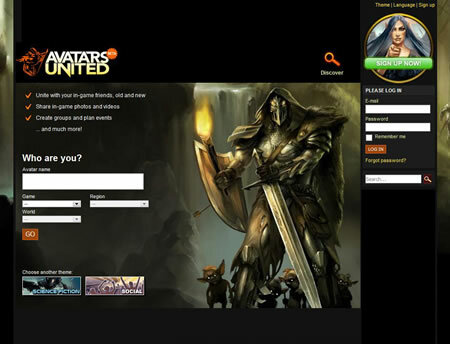 Find out more at the Avatars United website; they are looking to set up a world-wide community.